Here we are at another ASL finals. Instead of asking "Will Flash win?" or "Will Flash win again?" or completely giving up on the notion of questioning God, we find ourselves asking "who is the successor?" After an exciting Ro4 with several ups and downs, it's time to wind down for the finals. If you missed the semis, though, we've got you covered. Check out some of Frudgey's highlights and banter videos from last week (including the 3rd place match!). Back to business. This season marks the first season of ASL with no TBLS, and it leaves us with a big question mark of who succeeds the kings of the last generation. If the "dark ages" of Brood War from 2012 to 2016 represent an effort to rebuild a lost kingdom, this is a fight to see who rules it once and for all. Outstanding players like Effort, Snow, Mind, Larva, Best, Rain, Soulkey, and Sea carved out their names in the rocks but hadn't quite won the crown. For some, like Effort and Best, it was a problem with consistency. For others like Larva and Sea, a breakthrough followed by a long series of downward spirals back down to the bottom. Some players weren't even considered for kingship. Whatever the case, ASL reminds us that the Brood War community is still thriving, and there is still hunger. An ASL title is more than a trophy, it's a statement. Whoever lifts the trophy over their head proves to themselves and to the rest of the world that all the work they put into playing a "dead game" and perfecting their mechanics has not been in vain. Maybe, just maybe, with some of the greatest talents to ever touch the game out of the way, the new generation could give rise to its own lineage of bonjwas. Last, the Terran prodigy who was destined to be the next Flash squares up against the unassuming and relatively innocuous Mini. Both players have so much riding on their shoulders here, and the competition will be fierce. Only one victor can be decided, but either way it's a damn good storyline. The GRAND FINALS begin in ! Mini's trying journey to the ASL finals is no miracle. In fact, the trials of his long and hard fought trek to the top proves otherwise. Mini's ascent from the bottom began more than two years ago with an embarrassing loss at the hands of Jaedong's first 6 lings in ASL4. At that point, Mini seemed fated to live out his career as no more than a Ro16 player, and his previous results certainly didn't help matters. But every time he was struck down, Mini would forge a deeper path into each subsequent tournament and quickly rise through the online rankings to #11 with his own unique micro-intensive and abusive playstyle. The man once dubbed "Pervert Toss" for his affinity for sneaking reavers into his opponent's most vulnerable places was beginning to overtly overpower his opponents with sheer mechanics. Any onlooker can now clearly see Mini's full transformation. His improvement and standing is similar to that of Larva or Shuttle, but the difference is he's only a step away from actually winning an ASL. He stands to gain all the more from a map pool that is rivaled in imbalance only by ASL5, the island map ASL. Moreover, his rise is a sign that he's here to stay as a top contender in future ASLs. The most favorable factor for Mini going into the finals is the map pool. Block Chain is a nightmare for shuttle harassment and late game expansion. Whiteout's vision-blocked forests, sprawling bases, and ample air space is only a little less worse. Last must overcome these maps, but at least the remaining two, Match Point and Neo Sylphid, are close to being remotely balanced maps. It won't be his first time overcoming the map pool against Protoss though. An unsettling bracket in the Ro16 let Last loose against Snow on Block Chain with an aggressive early rush. Once again, Last was forced to pull out risky plays versus Rain that relied on high variable mind games. Luckily, they worked against Rain and Best, who both have a habit of losing to unorthodox early rushes. Mini is more difficult to predict. Mini is far more resilient, has stronger mind games, and masterful micro to top it all off. Historically, he defied the laws of build orders and defended Last's 2-Fact with a 1-Gate expand in ASL6. What's more, Mini has a better mid game for these maps, namely due to the numerous reaver drop opportunities. There's a lot to play off here, whether that be causing Last to over-defend or simply doing some damage. Where Mini does tend to drop off is the late game. On a good day, Mini's macro is at best solid, but it's simply not refined like Rain's. Still, if he gets ahead early on, he is more than capable of closing it out. Luckily, late game for Protoss is also favorable on some of these maps, which offers Mini some relief. Don't forget Mini's greatest weakness: his affinity for making weird faces. He may just contort himself into a mental abyss he can't climb out of. Once falling in, Mini will lop on shovelfuls of back-breaking pressure like the fear of losing the one thing that his entire years-long career of progaming has culminated into. This may possibly be the farthest he will ever get, something he never thought possible after losing to Jaedong's first 6 lings and being humiliated 0-3 by Flash. But now it's practically being handed to him on a silver platter with a map pool this good. I can resolutely say that if Mini were to ever win an ASL, then the stars could not have aligned any better. For Last to win this would be defying fate itself. Then again, Mini did choke hard versus Hero on ASL5's even more Protoss favored map pool in the 3rd/4th place match. In the end, the match may be decided by whether or not Mini loses his marbles; all he has to do is let the maps do the rest of the work for him. And if he does manage to lose, at least we’ll get treated to Mini’s most creative face yet. Despite just narrowly losing to eventual champion Effort in ASL Season 6 and winning KSL Season 1, it was unclear whether Last was going far in this tournament. There were serious concerns about a wrist injury, and his practice sessions were exclusive, so we had no idea what shape he was in. When he lost to Calm's specialized build, it looked bad, but when he cheesed out Terran slayers Soulkey and Snow, it looked even worse. Yeah, he won, but they weren't macro games. Critics were left wondering if Last could compete with the best in macro games and extended series or if he was stuck with shorter games to avoid wrist injuries. It turned out Last could compete. After defeating an in-form Sharp in an epic five-game back-and-forth series, he had to face former ASL champion Rain for some more drama in five sets. Ultimately, he managed to overcome some of the stiffer opposition this season of the ASL had to offer and did it in style with a variety of builds that showcased his mastery of the Terran race. Last is—or at least, should be—going into the finals with a fair amount of confidence. He has the big stage experience and is the calm, composed player we saw defend against Rain’s in-base two gateway proxy. His desperate defense against Calm in the Ro16 also made it abundantly clear that he would not give easily to aggression. Even though Last lost both games, they serve to show his resilience. His offensive plays underscore his assertiveness and combine all qualities to create a man who can easily intimidate opponents onstage. Not quite the Kim Sung Hyun we were used to see choking until recently. The secret to Last’s big upswing in results is possibly preparation. Last has done everything between perfecting a rugged, versatile build and devising a cunning specialized one. He has shown us time and again that he is comfortable switching gears with the greediest of openers or pulling the boys for an all-in. He has all the fundamentals required to win. Even with the wrist injury scare, his good game sense, monstrous mechanics, and quick wits to make decisions on the spur of the moment have carried him through to the grand final. Truth be told, nobody ever questioned if AlphaGo was an appropriate nickname for Last. He looked like he had all it took to be a champion from the beginning. It seems that he's finally overcome his tendency to choke, but the state of his wrists is still a worrying prospect. Judging from his last two matches, he appears to be rocking 350+ APM for the duration of the game with little apparent difficulty, so he's doing fairly well. We don't know the full story, but in any case, he's going into the finals as a real contender for the champion’s title this time around. The upcoming finals are the third time Last faces Mini in recent tournament history. The two duked it out in not one, but two Bo5 series in the inaugural season of the KSL. Mini won the first one with a convincing 3:0, but then Last prevailed in the decider series 3-1 with what is becoming his trademark build variety and great defense. If those games are any indication, we are in for a thriller featuring a clash of equally dynamic playstyles. Last has already been on the receiving end of Mini’s trademark reaver harass and is definitely preparing his answer. Mini also seems to favor carrier play, and it’s been said time and again that Last is one of the two terrans (the other one being Flash) that make you think twice before going carriers. His inhuman macro allows him to punish such attempts with considerable success. The map pool can be said to favor Mini slightly, but as Last has developed something of an obsession with preparation, the unique features of all of the maps will lend themselves to his creativity. Block Chain, the odd one out this season, was thought to be Protoss favored, specifically favoring shuttle/reaver and carrier plays, but both online statistics and Last’s own results so far suggest otherwise. Terran has a 56.8% elo-adjusted win rate vs Protoss, and Last defeated Snow and Rain in all three of his games on this map. Whiteout is one of the tougher maps for Terran with 41.4% win rate vs Protoss. Last lost on Whiteout to Rain after a desperate defense against proxy two gate in his base, and shuttle plays that suit Mini's playstyle are to be expected. Last might need to come up with a specific answer to be able to prevail. Match Point also appears to favor Protoss in terms of statistics, but just slightly (TvP winrate 47.7%). The only “old” map this season, it’s been tried and tested, and we could see anything from a standard macro game to designer proxies. Last won his last match here with a seemingly prepared barracks proxy after an early gas steal from Rain. It is a good thing for Last that Neo Sylphid is played twice because it's arguably the most balanced map of this season’s map pool. Both sides are essentially even in online win percentages. It was the grounds of an epic slugfest in his match against Rain and ultimately ended in defeat. Mini is sure to have taken notes of this game, so Last should explore a variety of different options there. In conclusion, we can safely say that Last is coming into his first ASL final with momentum on his side. He overcame choking issues, wrist injuries, and matchup disadvantages on his way to the title he yearns. Last is one to respect the opposition, and Mini is to be respected, especially since Mini’s own choking issues seem to have been put on hold. Preparation could be more difficult than usual. Mini reached the final playing PvZ exclusively, and Last had to resort to a variety of builds in his five game epic against Rain. Maybe Last used all the aces up his sleeve, but we expect him to come to the finals fairly well prepared nevertheless. In the end, this may very well be what decides the match. I expect Last to weather the storm and persevere yet again. But even if he doesn't,we are in for a treat. Mini entered the round of 16 coming off a wild card match versus Action. That’s right, Mini qualified for this tournament by beating a Zerg, and that’s the only matchup he’s seen since. But wait a minute, should he even be here? According to public opinion, only 28% of pollers gave him a chance to advance in either first or second. Liquibetters were almost correct. Mini lost to Larva, clawed his way into the loser’s final, and in his rematch against Larva took revenge as he advanced. Mini is set to battle Calm in the Ro8. This would be his fourth Zerg opponent. Voters seemed really indecisive coming to this vote. Calm had similar momentum to Action’s return to StarCraft, and the massive popularity Calm carries with him played a big role too. Liquibetter’s find themselves rewarded, but only by a small margin with 57% of the voters being correct. All of TL missed the train! With stats rivaling Bisu’s in PvZ, what was keeping voters from selecting Mini over Effort? 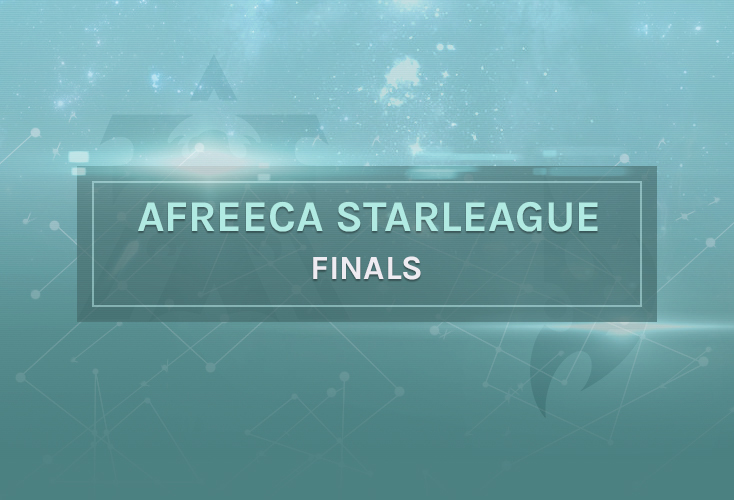 The reigning ASL champion who defeated Flash and the VANT Starleague Champion who conquered Bisu is who. When in form, Effort is recognized as one of the scariest opponents. But not Mini, and those 42 TLers who misclicked got lucky. Last’s run starts off with arguably what was considered the group of death. However, with Flash out and Sharp still being underappreciated, Last is considered the de facto next best Terran. Liquibetters gave him a 72% chance to succeed and that he did. Any easy victory for TL-ers and a much needed point. It wasn’t until after his games in the Ro16 that Last revealed the extent of his wrist injuries. As viewers received that information, how would this affect their choices in the next round? The ratio of voters who picked Last is almost as similar as Sharp and Last TvT winrates. This series was straight from the Vegas betting book, and Liquibetters prosper from it. Remember BlizzCon, guys!?! Neither does Last. He’s full of finals amnesia. Last carries no burdens or jinxes with him. And despite the fact that an overwhelming majority of TL-ers voted Rain through, Last still prevailed. Other notable times Last was picked to lose was the showmatch versus Rain and prior to that was all the way back during the KSL Season 1 where only 16% of voters picked Last over Jaedong. The stage is set as Liquibetters sit at a tie coming down to the finals. Based on voter history, it should be obvious that Last will be the most voted on player to win the finals. However, it remains to be seen whether those who choose the underdog will be rewarded with those most valuable points to close out this Liquibet season. Good writeup. I'm feeling Mini has a very good chance in this, despite Last being the heavy favourite for some reason. Maybe he just seems the more overall dominant player. I was looking over their recent results, 4:3 to mini over 2 bo5s in KSL1 and 1:0 to him in ASL6, Mini is absolutely capable. He may wear his heart on his sleeves when he's losing but he doesn't go to pieces that easily, you just need to look at his ro4 game vs. effort. However, finals pressure can be a totally different beast. when i stop to think about this finals i think of a mini version of Bisu vs Flash. Mini reminds me of Bisu in many ways, his style is control oriented, tries to win small edges here and there and his multitasking is excelent. Little by little he gains confidence in his game while damaging his oponnent psicologically with crisp micro. His builds are very well planned and he executes them almost perfectly, at least during this ASL. The problem for Mini, as said in the article, is his mindset when playing under pressure, it is very possible that Last can get a 2-0 lead from the start, at this point there is no chance of recovery for Mini. This is perhaps his only chance to become one of the greatest protoss in history. I really wish he wins this one. I thought Mini was very impressive versus Snow in season 5. I think that he's really grown since then too. My head says Last will win, but I'm hoping that Mini will just clone free archons to victory. On March 15 2019 14:54 TeamLiquid ESPORTS wrote:or completely giving up on the notion of questioning God, we find ourselves asking "who is the successor?" Of course, EffOrt is likely to take a game off Flash due to his usual shenanigans, but anything outside 3-1 seems out of the question with Flash's recent form. Wow nice effort on that presentation. I think Last's TvP is too good though, although Mini could pull of something sneaky, or you know, wristsagi. That writeup is gonna keep haunting me, isn't it? "But now it's practically being handed to him on a silver platter with a map pool this good." These maps are new and hence strategies and tactics on them are still expected to evolve. Mini have to work hard to understand just exactly what those strategies could become and be prepared for them. It's not like he can just kick back his feet and expect free wins. He also have worked to hard to understand how to exploit the advantages given to protoss on these maps to get to this point. Your statement above is quite unfair in this regard. In my humble opinion. And why is that we never talk about maps being terran or zerg favoured? In the post-kespa korean scene terran and zergs have pretty much won 90% of the tournaments. Yet the only times i hear about maps being favoured its when protoss receives the long end of the stick. Its frustrating. I was taken aback by some statistics from Taardariel's article that said Block Chain is Terran favored. So you could say the maps aren't that in favour of Protoss. That said, I still believe Block Chain is Mini favored due to his abusive shuttle play. Just to clarify, when I talk about an imbalanced map pool I only mean Block Chain/Whiteout. And yes, the silver platter comment is facetious, but I was partially exaggerating. He definitely works his caboose off to come up with good strategies and keep up his mechanics under the pressure of competition. The maps really are good though and it's the best setup for unpredictable games Mini could ask for against Last who thrives on flowchart gameplay. Then again, Last has shown his own crazy aggressive strats. Also, the games Last pulled vs Rain were one-dimensional 3-base pushes to Rain's natural. It felt like a downhill game for Last saved only by Rain's disastrous recall. I do acknowledge I'm basing this off of only the ASL games, but as I see it Terran's options are pretty limited on Block Chain. I can't ignore the statistics though, so I will concede I am not as informed as can be. On the topic of imba maps, well, that's a long convo that I frankly am too tired to talk about. My availability bias just makes me think that toss was always more imba on their imba maps than any other race's. In the end, I guess it might be as simple as people like hating on toss as the ez race. We had a fantastic season even without the old gods... is this a new era for sc1? Regarding Block Chain specifically, I still don't think the map is really figured out. Online statistics are helpful, but in this case we have one really abusive player and another that prepares in secret - and IIRC, Tastosis said Last had been practicing with Stork of all people before his match with Rain. I wouldn't be too surprised if either player puts himself at a BO disadvantage by trying to exploit the features of the map. Last had this working for him so far vs both Snow and Rain. I don’t think Last has lost on blockchain vs Protoss. Once vs Snow in the round of 16. And twice vs Rain? "Don't forget Mini's greatest weakness: his affinity for making weird faces" I dunno, I feel like Mini's ability to make weird faces is his greatest strength! People seem to think that Last is going to take this. I don't know Brood War well enough to make heads or tails of these two players playing, but is Last just much more experienced than Mini? Reading over the preview though, it seems like anyone could take it. Either way, I'm hoping for some entertaining games! is Last just much more experienced than Mini? I don't know about experience-- they are both former pros. Last has been on the verge of stepping out behind Flash's shadow for a couple years now. His stellar play online left people expecting great things from him, but he's had trouble offline, and thus winning premier events. With KSL season 1, he looked to have cracked offline. His play in ASL recently has reinforced that opinion in me. There is the dismal 0-4 vs Soulkey in KSL 2 to keep in mind, but I remain convinced he's wrapped his head around offline. Sadly his wrist seems to have become an issue just as he's begun to peak offline. I'd say he peaked about a year ago, but covered up by some offline demons that he's finally managed to excise. Last has said in that he fears Mini more than Best. Not sure I remember the exact quote, but it was something like being up 1-0 in a Bo5, he still feels uncomfortable vs Mini. I suspect they know each other's play fairly well having been former STX Soul teammates, and both the young guys on the team. it's really damn useless to check the "Hide spoilers" checkbox and have no spoiler in the title if the image spoils who is in the finals. I hope Mini will win, but I'm afraid that the nerves may eat him alive.. Understood. Will avoid doing this in the future. sorry but you had 2 weeks to catch up, even TL only has a 48HR rule for BW. Its unfortunate that you got spoiled and we should use spoiler free FP images but in this case its more on you than us.